A man and woman who were charged with attacking and carjacking a driver in Wicker Park last year have been sentenced to 30 months “gang probation” after pleading guilty to reduced charges in a deal with prosecutors. Judge William O’Brien approved the agreement in which 20-year-old Angel Ayala pleaded guilty to aggravated battery and 32-year-old Flor Cortes pleaded guilty a reduced charge of theft from a person. Vehicular hijacking, unlawful vehicular invasion, and additional aggravated battery charges were dropped against Ayala and Cortes as part of the deal. 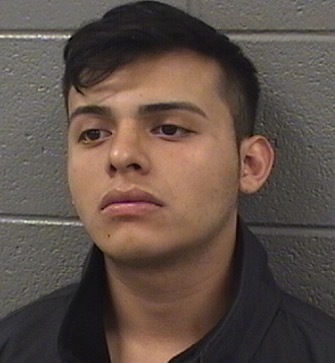 The 21-year-old victim was driving in the 1200 block of North Milwaukee around 3 p.m. on June 7, 2018. when the two offenders emerged from another car and launched the attack, prosecutors alleged Ayala then got into the victim’s 2016 Ford Fusion and sped away, followed by the other car, police said. A witness wrote down the license plate number of the other vehicle, which eventually led police to Ayala. It’ll be three years probation for a man who has pleaded guilty to robbing two convenience stores in the Loop in November 2017. Keon Morgan, 25, admitted to robbing the 7-Eleven locations at 180 North Franklin and 4 West Jackson in exchange for the lenient sentence from Judge Arthur Hill. Morgan was arrested in Uptown last May after patrol officers recognized him from an internal police bulletin. Prosecutors said Morgan entered the 7-Eleven on Franklin around 6 a.m. on November 19, 2017, implied that he had a gun while holding his waistband, and then demanded money and cigarettes, police said. Two days later, he did the same thing at the 7-Eleven store located on Jackson, the state said. • A Rogers Park man who was accused of breaking into an Uptown home and battering the homeowner has received a generous deal from prosecutors. Vladamir Mendoza, 22, will serve two years probation after pleading guilty to a single count of residential burglary, which was reduced from Class X felony home invasion. Prosecutors also dropped unlawful restraint, criminal damage to property, and trespassing charges in the deal. He was fined $397 and ordered to pay $450 restitution to his victim. Mendoza was accused of smashing the victim’s sliding glass door with a propane tank in the 4600 block of North Greenview at 2:30 a.m. on Nov. 29, 2017. Mendoza then entered the residence, and punched the 45-year-old victim in the face after encountering him in the living room, prosecutors alleged. Cops arrested Mendoza nearby. • Two men who helped rob a Boystown bar-goer last August and then stopped to rob a second victim as they ran to make their escape at the Belmont Red Line station have pleaded guilty in a deal with prosecutors. 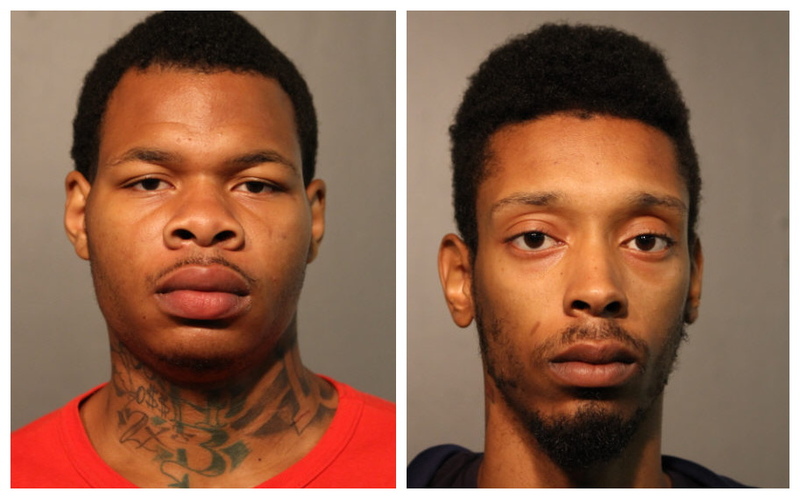 Prosecutors said Herbert Sanderfer, 20, and Dijon Williams, 23, beat and robbed an intoxicated man of his wallet and phone as he walked in the 3200 block of North Halsted around 3 a.m. Witnesses called 911, and responding officers were waved down by a second robbery victim who had been attacked by three men on Belmont just west of Clark Street, according to police. Other cops soon detained Sanderfer, Williams, and a third man about a block away near the intersection of Belmont and Wilton. Sanderfer pleaded guilty to two counts of robbery and was sentenced to two concurrent four-year terms by Judge Timothy Chambers. With 118 days credit for time served while awaiting trial and Illinois’ automatic 50% sentence reduction for anticipated good behavior in prison, Sanderfer will be paroled on August 20th of next year. Williams pleaded guilty to a single count of aggravated battery and was sentenced to two years in prison. Robbery and unlawful restraint charges were dropped in the agreement, which was also approved by Judge Chambers. Williams previously served prison time for being a gang member in possession of a firearm; robbery; possessing a stolen motor vehicle; escaping electronic monitoring; and narcotics. With credit for time served while awaiting trial and the state’s 50% sentence reduction police, Williams will be paroled on August 22nd. The case against a third person charged in the attacks is still pending.